I’m on my second break at the food store. Why two breaks you ask? Because three employees called out and I agreed to stay an extra two hours. Since I’m working eight hours, I get a second 15-minute break, which I’m spending eating strawberry yogurt, mixed with a crunched up Oreo, and blogging. In case you’re unaware, tomorrow is the Super Bowl. Consequently, I’ve been hit with endless waves of customers, all of whom are spending between $200-$300 on an absurd amount of groceries for Super Bowl parties. And I’m back. Clearly 15 minutes isn’t enough time to eat a snack and blog. Anyway, where was I? That’s right, hordes of customers buying Doritos, soda and pigs in a blanket. The rest of my shift was just as insane as the first half. The good news is I didn’t have any difficult or rude customers. 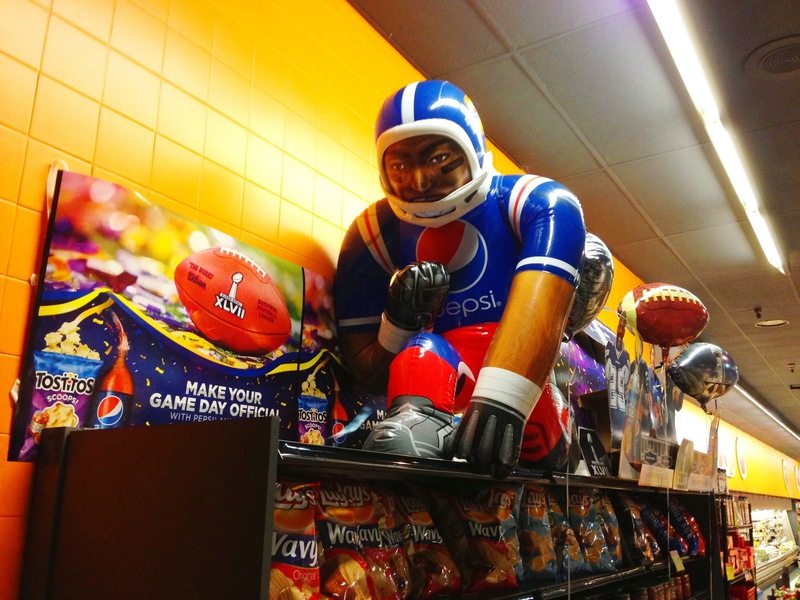 But I shouldn’t speak too soon; I’m back at the supermarket for a six-hour shift right before the big game on Sunday. God help me.